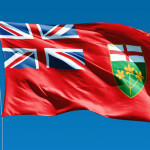 The Province of Ontario has elected a Liberal majority government. Premier Kathleen Wynne will be returning to Queen’s Park, becoming Ontario’s first elected female Premier. In Niagara, all incumbents were re-elected, with Tim Hudak in Niagara West-Glanbrook, Jim Bradley in St. Catharines, Wayne Gates in Niagara Falls, and Cindy Forster in Wellend. In her acceptance speech this evening, Ms. Wynne noted that she will be talking with the Lieutenant Governor shortly and will be reconvening the provincial legislature within 20 days.